John Collings – A novelist with a passion for reading and traveling shares his view of the world and his adventures. I guess you are here because you have discovered one of my books and enjoyed it enough to find out more about the author, me. Either that or you’re a potential employer who is investigating me to see if I would be a good fit for your organization. In which case, surprise, I write books as well as teach. Some might look at that as a bad thing, and if so, please explain to me how. For whoever finds my site, I want to welcome you, and also allow you the opportunity to follow me on a regular basis. Anybody is welcome as long as you keep your posts appropriate, and respect the other followers to this site. As long as everybody follows those two simple rules, I won’t have to kick anybody off. Let the friendly banter begin. I am hoping to create an interactive site that everybody can enjoy. Of course, I will keep you up to date on the latest writings coming out of my head, and I will also let you know when and where I will be in the world, so someday you might be able to meet me in person. Most people regret that decision, but who knows, maybe you’ll be in the minority. I will also tell you about my world-wide travels as this is something I do on a regular basis. I’ll show you pictures from places I have been (this one is from Dubrovnik, better known to fans of The Song of Ice and Fire as King’s Landing), and tell you the exciting stories that happen to me along the way. You are also welcome to ask me any questions you may have about the place I have been, and I will try to answer them in a timely manner. I know it all sounds amazing, and I can see you wondering why you haven’t been a part of this fantastic experience so far, but let me tell you about the most exciting part of following this site – the interactive part. You were probably wondering when I would get to that part I had promised you earlier. Well, I plan to create a list every month, and I want you to participate in its formation. I do love countdowns, but I am always disappointed in them. So I have decided to take matters into my own hands. You will be able to post your top ten of each monthly list and at the end of each month, I will comprise the total list to give you the countdown for that subject. Look for each new subject on the first day of each month, and the final list of the previous month by the fifteenth. Otherwise, it is very nice to have you a part of this experience, and I look forward to all of our future posts together. And go out and enjoy the blossoming. As we venture beyond our hobbit hole. Even though we move only at a stroll. As it clings to the tips of the branches. Of the returning, forgotten finches. we can witness the changing of the clime. Telling tales of the Shogun who fought here. And to console them from their greatest fear. As the blood of men stained the frozen ground. And only the cedars could hear their sound. Except for the wind running through the cedars. 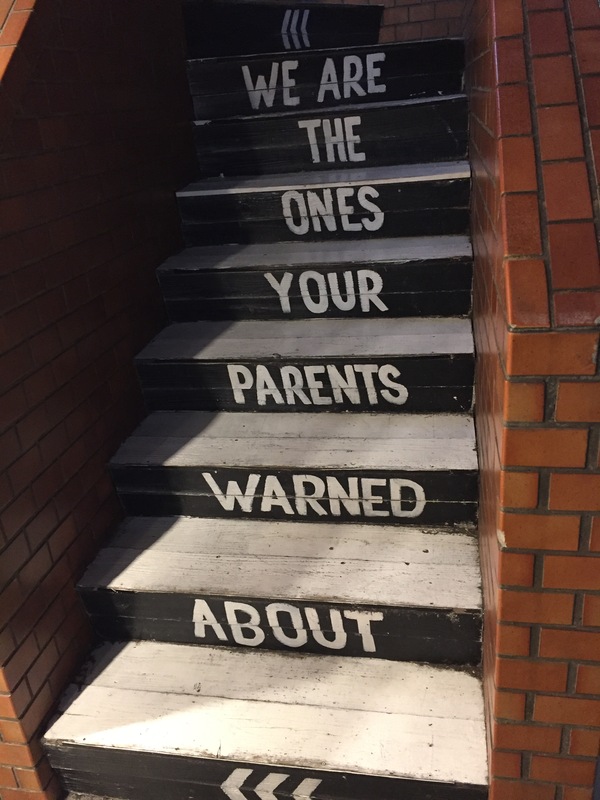 And the numerous lesson that they hold. So it’s not worth our time to open shop. When we can reap the green holiday crop. Knowing that one day this leisure will pop. To enjoy the fruits of the mud season. 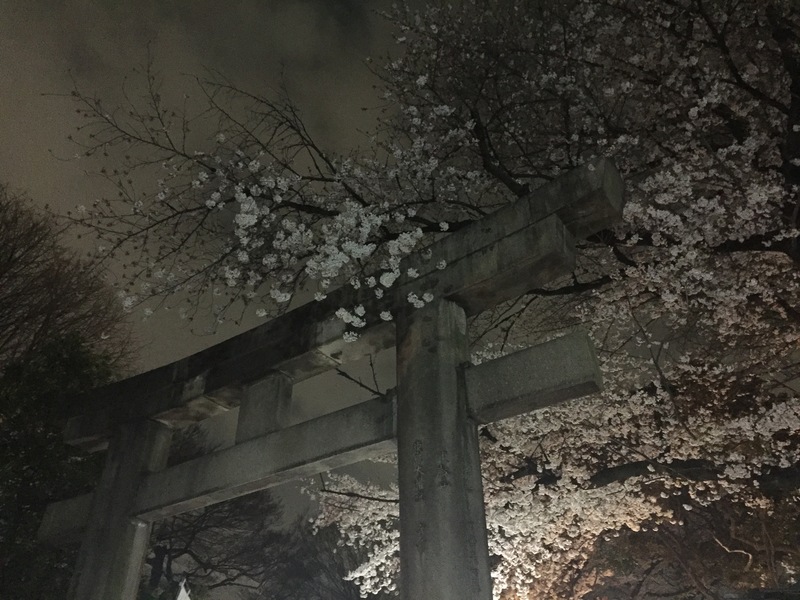 Seeing the cherry blossoms in Japan is on a lot of people’s bucket list and I always wondered what made them so special. They happen in other places in the world around the same time. In fact, I have seen them pop out every Spring that I have lived in Korea, and yes, they are pretty, but to put it on my bucket list of things to do before I die seemed a little absurd. But to the Japanese people, this annual event is something to get excited about. 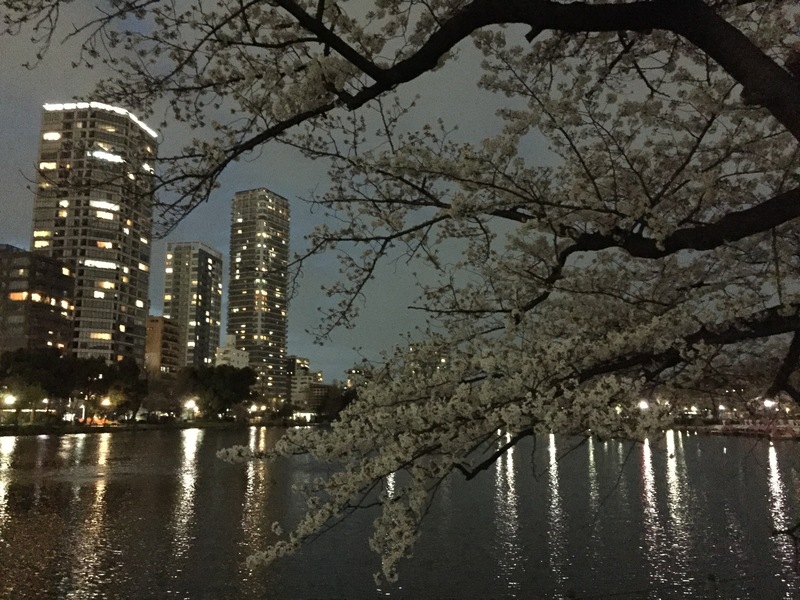 It is a completely different feeling being in Tokyo during Sakura, or the cherry blossoming season. It only lasts for a couple of weeks, but people make the most out of it while they can, and they are also so happy throughout the course of this natural event. 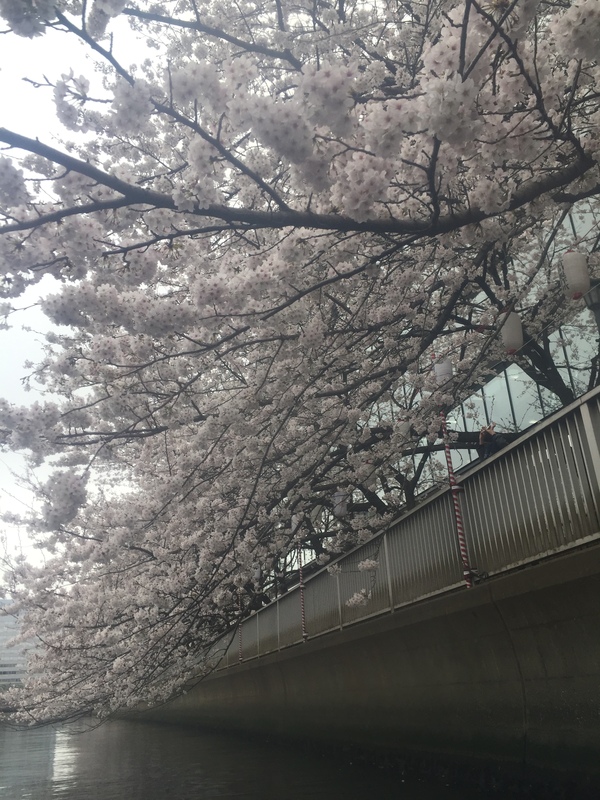 You will see people walking around with cameras all over the city, getting ready to take that perfect shot of the tress exploding in pink and white. 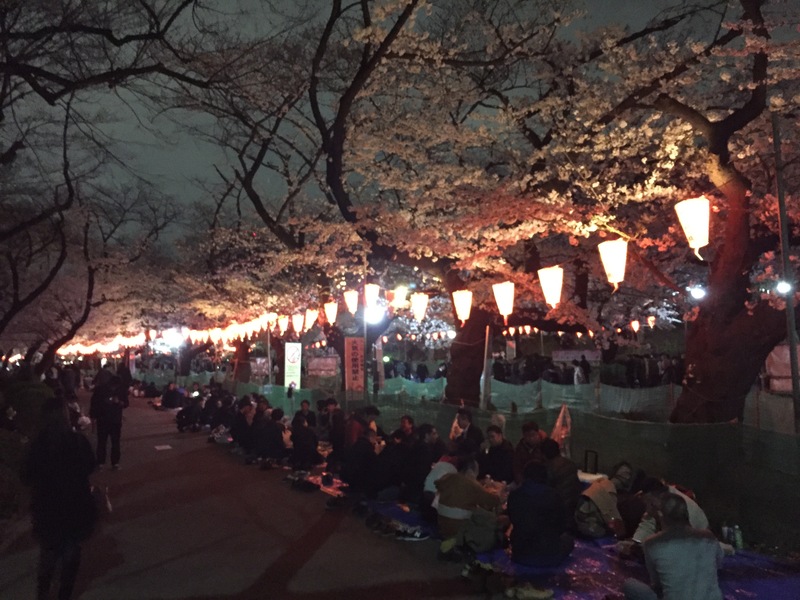 They also gather in the parks during the night to celebrate with each other with picnics and the sharing of drinks. I think the best way to describe it is by talking about this older couple I witnessed at one of the parks during my stay in Japan. They did not move quickly, and they were bent over from years of hard work. 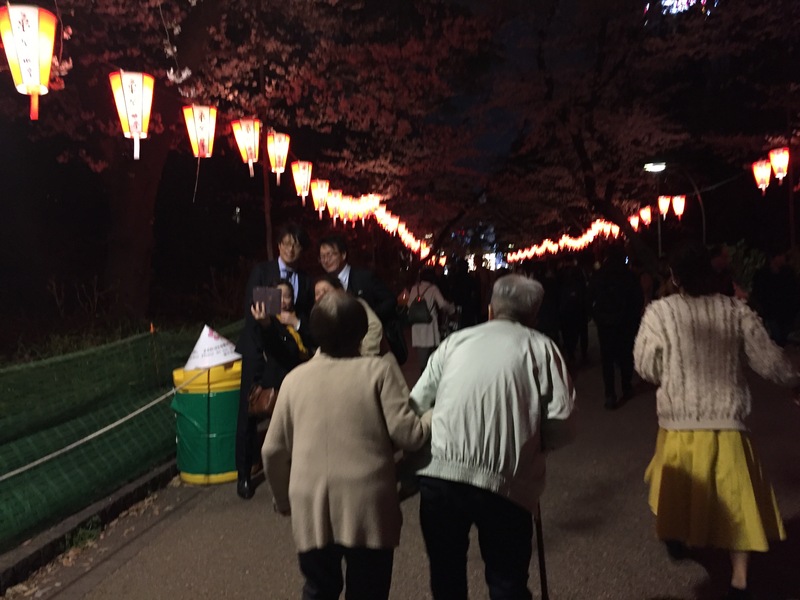 The man held his cane in one hand, and his wife grabbed his other arm as the walked among the lanterns that Tokyo had put out to highlight the blooming of the Sakura. I like to think that they did not make it out of the house very much, but this was an event that they would not miss ever. As they shuffled down the park’s path, they had huge smiles on their faces as they peered this way and that to take in the beauty that was before them. The moment was truly magical for them, and I am sure that they had seen it every year of their lives, and every year, it was just as spectacular. This is like Japan’s Christmas season, except the nature that they witness marks the coming of Spring and warmer weather. It does have that feeling of going out and looking at the Christmas lights during a snowstorm, except that it is not as cold outside, and I was a lot more comfortable taking in the views. 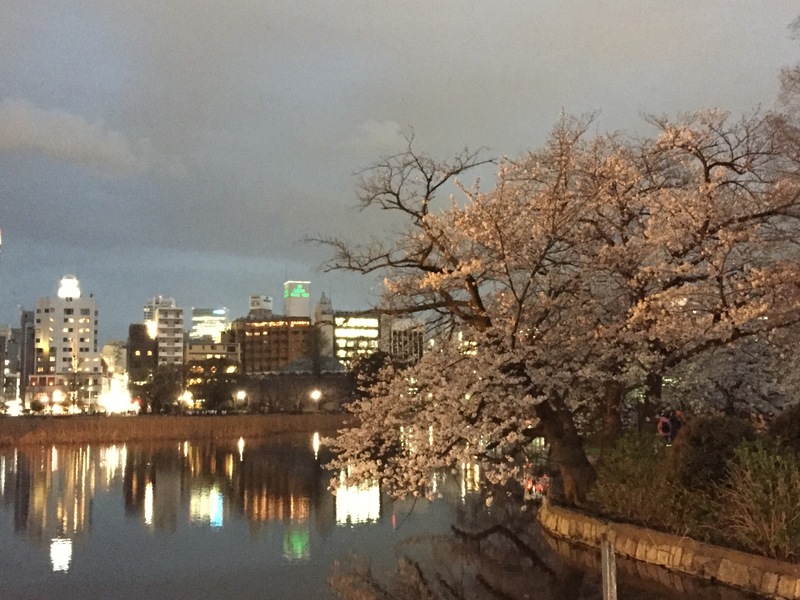 The whole city is not covered in Sakura, and I did come across the occasional lone tree making its mark. There are many places where the blooms really hit, and these are the places where people come together every night. Each one of the locations has its own charm and its own excitement, but there are tons of people gathered at each spot to enjoy the mark of this celebration before it disappears for another year. The ancient architecture adds to the excitement, as I was able to see the cherry blossoms frame some of the bigger shrines and extend out over some of there gates. I have not seen this same appeal in Korea even though I bet there are places where it does exist. They just seemed to go hand in hand in Tokyo. They are not only fun at night, but it is still quite the sight to see during the day. 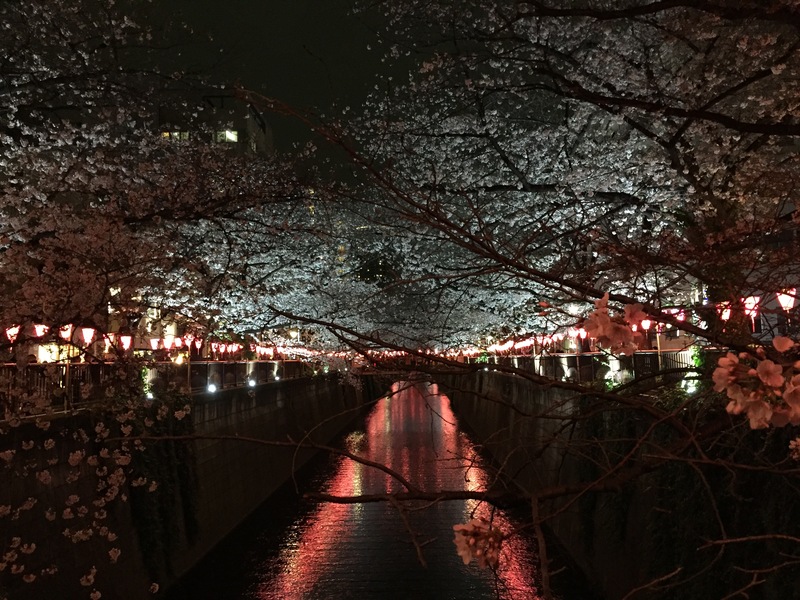 I think I was out there during the height of the bloom as I was able to travel down one of the streets and see the trees line the canals of Tokyo. One of the best ways to enjoy them is to go out on the canals in a kayak, and get up close to them hanging out over the water. It was a great way to spend the morning while getting a little exercise. There are also a lot of tour boats that travel up and down these canals, and many of the guests would wave at us as they traveled on by. But it was the pre-school children that were my favorite. The path that we took went by many of the schools, and the teachers took the time to take the kids out on walks to enjoy the Sakura as well. Any time they saw us, they would wave at us and say the only two English words that they knew, “Hi” and “Goodbye” when we drifted away. It just added to the joy of the moment. So I knew that by coming out to Japan with the goal of seeing the cherry blossoms, I would be something really pretty. What I did not know was I would be caught up in the excitement of the city celebrating one of their favorite times of the year. I learned why many people put this on their bucket list, and I am glad I got to experience it once in my lifetime. It has made this trip to Japan probably my favorite one that I have been on so far, and it is going to be hard to beat the calling of Spring with the Sakura if I ever get the chance to come back again. Goodbye, Japan, and thank you for the wonderful trip. There are certain places in the world that people think of when they think of food, Italy, France, Thailand, and most definitely Japan. The culinary delights that can be explored in this country seems to be unlimited, and it would take a lifetime to explore them all. Each of them offer new tantalizing tastes that will make your bud sing, and a blog itself would have to be dedicated to the many ways food is offered in this country. Of course, when the common man thinks about Japanese food, the first thing that comes to mind is sushi. It is an exotic dish in the United States, but it is not as big of a deal in Japan. Even though there are many fancy restaurants that can be found that serve this dish, it is considered more something that a person can grab for a quick lunch or even breakfast. 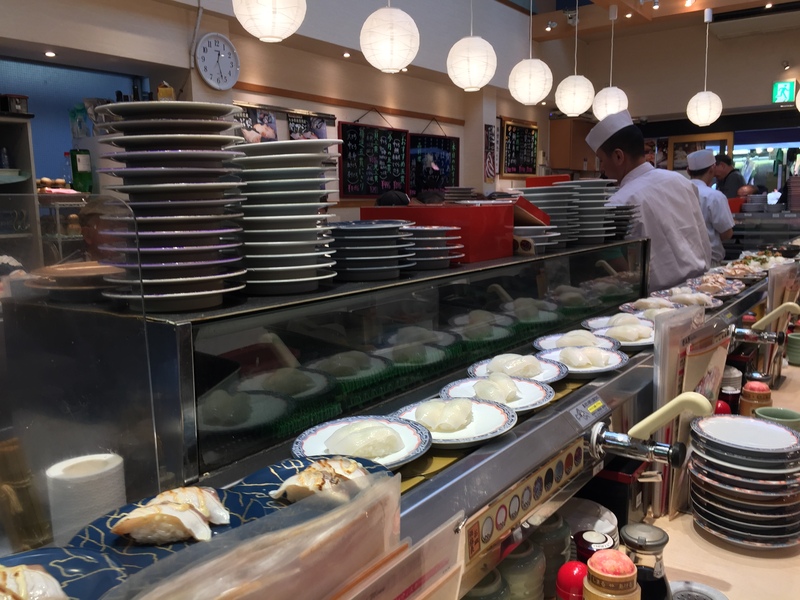 My favorite way to eat sushi out here is to find the places that sit everybody around the cooks who constantly place various plates on a conveyor belt. You just pull off what looks good, and then the add up the plates, you pay and you go. It keeps everybody happy, and it is a fun way to eat sushi. Another fun dish to have is okonomiyaki. This is kind of like a pancake made with dry rice as the main ingredient, but there are many other things that they throw into them. You mix them up in a bowl, and the cook them at your table. You can get healthy choices with fish and vegetables, or you can go the route that I went and load it up with a bunch of different meats. 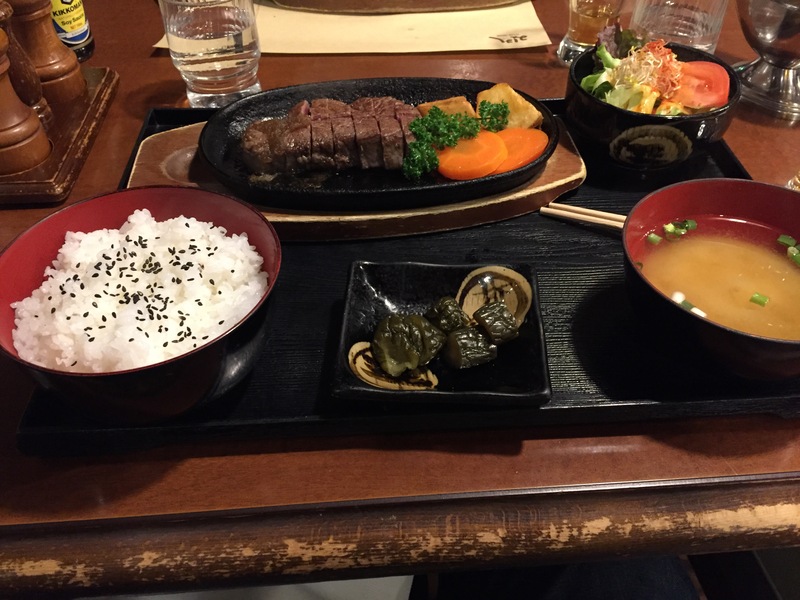 There is a really good restaurant that serves this in Harajuku called Sakura Tei. 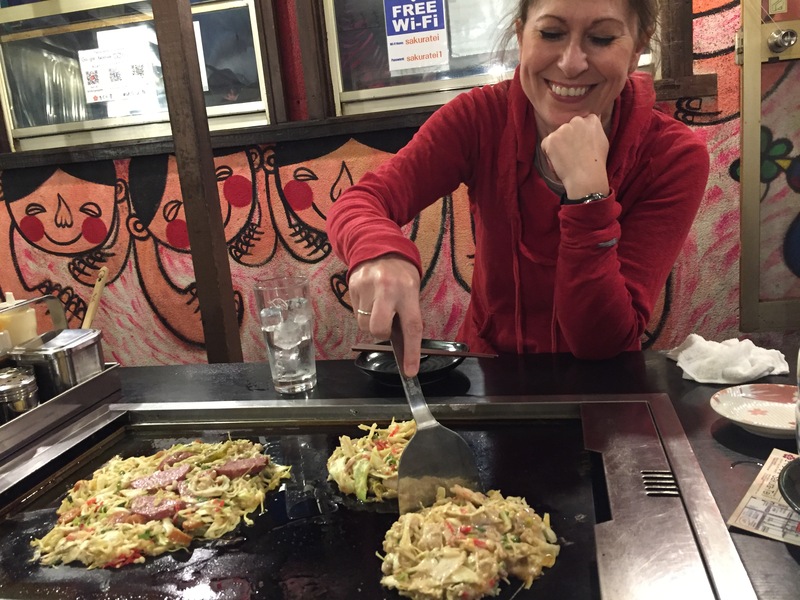 It is a little hard to find because it is hidden well among art galleries, but it might be one of my favorite restaurants in the world because of the food, atmosphere, and fun of making my own savory pancake. 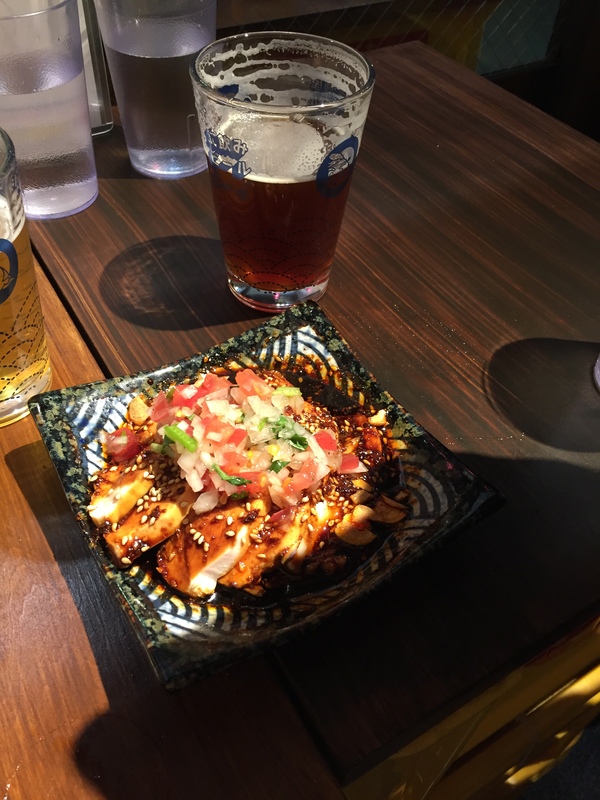 I was also able to experience a lot of street food on this trip to Japan. 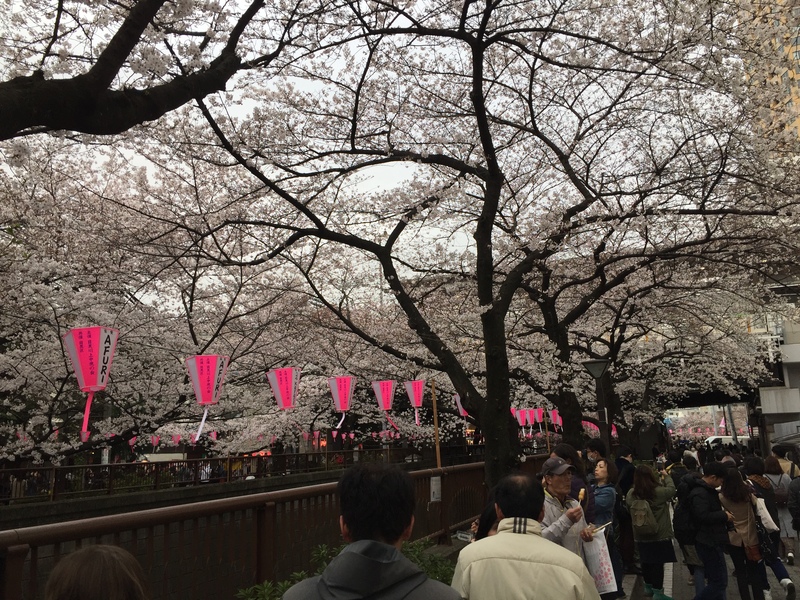 Anywhere the cherry blossoms come out, they set up a festival for the two weeks that it happens. The booths come out and a variety of food is offered. 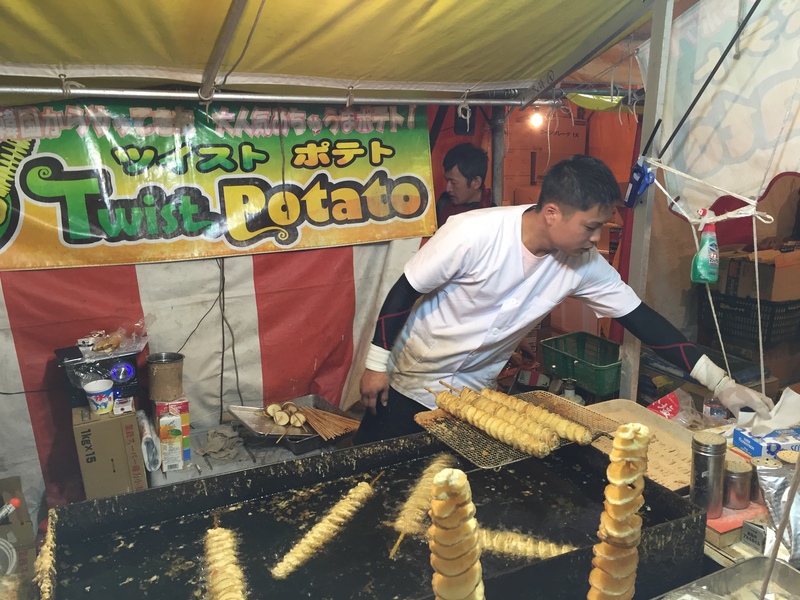 You can find anything from ramen to fried potato swirls. It is also a fun way to dine because you get to jump into the festivities going on around you, and everybody can find something that they will enjoy. Speaking of noodles, Japan offers many different types of them from cold buckwheat noodles to think steaming bowls of udon noodles. 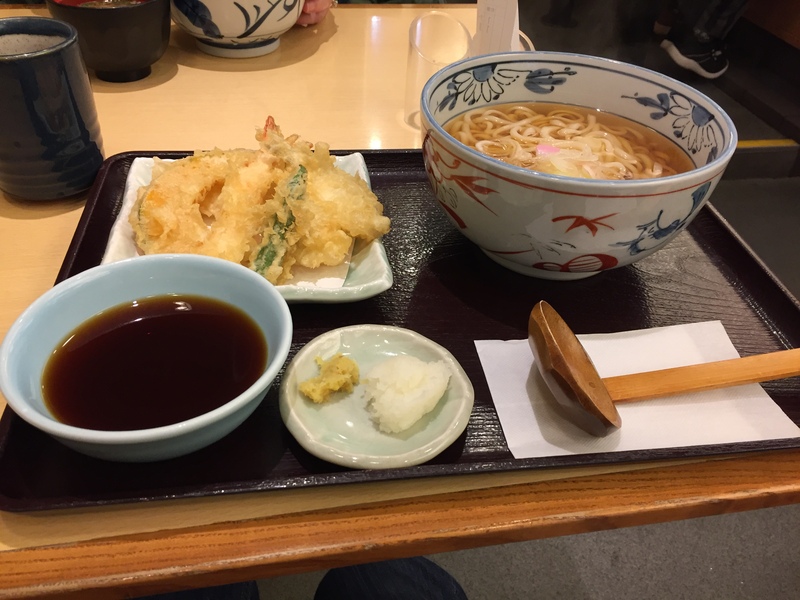 During the summer months, the colder options are great, but on this trip there was a little bit of winter still in the air, and I enjoyed the hot udon noodles. Many times they are served with some tempura to make a great meal anytime of the day. Japan is also well known for its Kobe beef. This might be the most tender steak that I have ever had. It just melts in your mouth, and it is worth every penny I spent on it. The rumor behind why this beef is so tender is because the ranchers who raise these cows will feed them beer and massage them while they are alive. It makes the beef tender, and it makes me happy that at least the cow had a happy drunken life while still alive. Basically, it does not matter where you go in Japan; there is going to be something amazing waiting for you. You just need to be a little adventuresome because you might not always know what it is you will be getting. There are many traditional Japanese dishes out there, but this a very creative country, and I always come across something new that quickly becomes my favorite new dish. The food alone makes coming out here worth it. One of the most memorable experiences of my first visit to Japan was visiting the fish market in Tsujuki. It was a big warehouse where all the day’s catch would be brought in to be chopped up and sold to the local markets and restaurants. It was a crazy experience of fishermen and butchers working in harmony with buyers who were looking for the perfect fillet of spicy tuna. 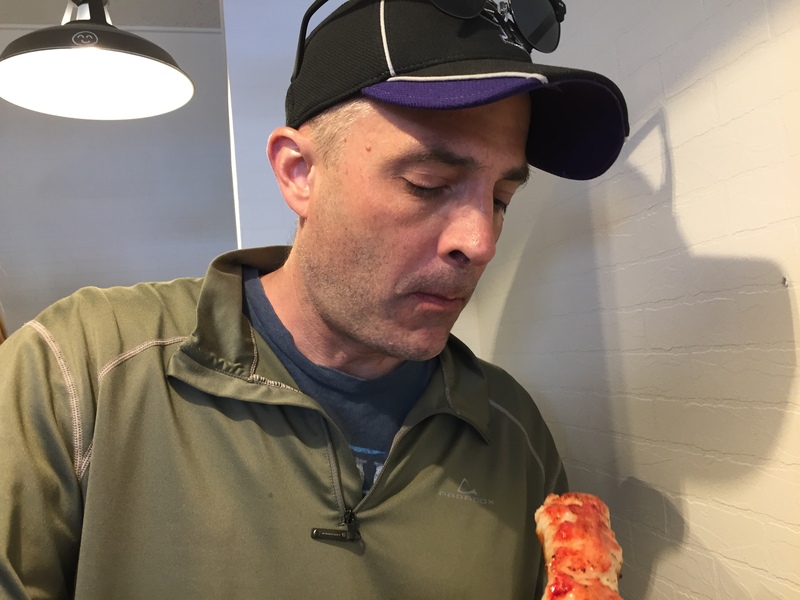 It smelled a little of fish, but it was an experience that always stuck with me. Recently, this old market shut down and moved off to a new location. 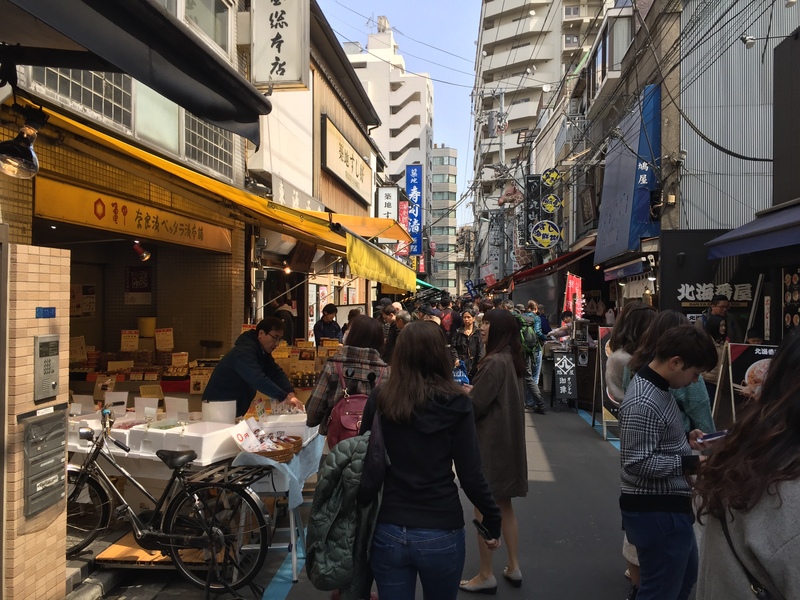 It was a big event that was talked about in all of the newspapers around the world because Tsujuki was one of the oldest and largest fish markets in the world. It could be destructive to this iconic part of Tokyo, but the restaurants and shops that established themselves over the years were not going to let the place shut down that quietly. Namiyoke Inari Shrine on the edge of the Tsujuki Fish Market. There are still three blocks of merchants that get up early every morning to open up their shops and welcome the crowds that make their way down there. The shrine on the corner of the market is still visited by these same people to give out a quick prayer before they set off for the day. And more importantly the crowds of people still come down to this place to snap pictures and enjoy the food that is here. A crab kissing a fish. The smell of fresh fish still lingers in this corner of the city even though the buyers have left it behind, but there are still numerous sushi restaurants that open their doors at 5:00 in the morning to serve breakfast, and the old statues are still hanging from the buildings. It is not only fish that they sell here either. There are many stores that offer fresh coffee, tea or ice cream. Vendors also bring in fresh vegetables and fruit, as well as all of the appliances needed in order to make the meals you want with all the fresh food that you just bought. Of course, there are the shops that sell the silly tourist things like t-shirts and trinkets, but that is not the main focus of this place. Snow crab being prepared for me on the street of the Tsujuki Fish Market. It is all about the food, and some of the best bites that this place has to offer are prepared on the street. 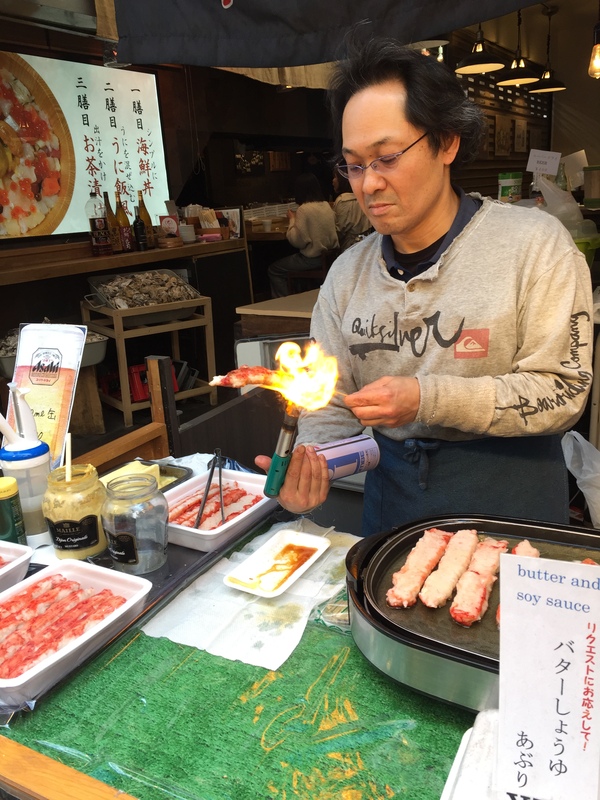 They will make egg on a stick, thin slices of Kobe beef, and various types of fish of course. 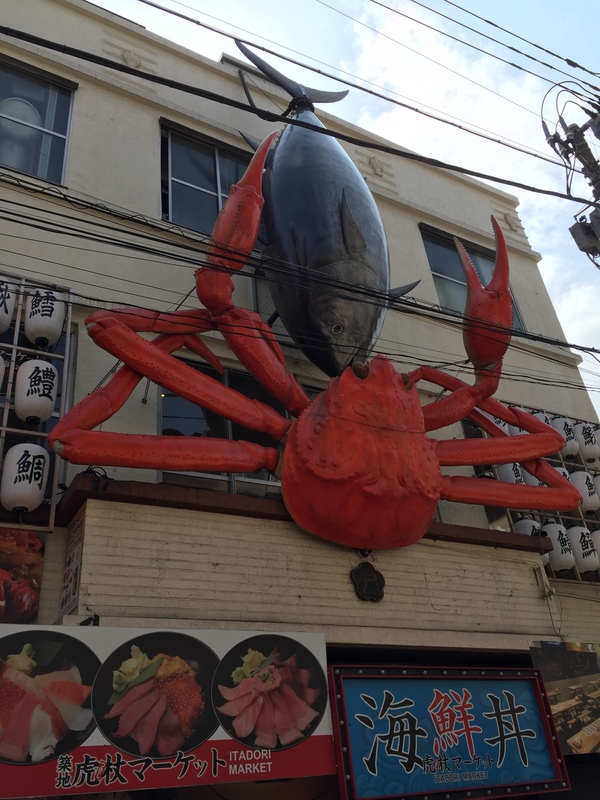 My favorite was the fresh snow crab that was fried in oil, and then put on a big pat of butter before smothered in soy sauce before it was all glazed right in front of me. It was served with a little bit of Dijon mustard, and would have been considered gourmet anywhere else in the world. But here it is just street food. It is this grounded feeling that this neighborhood has that makes sure that it will always last even though the fish market has moved to another part of the city. 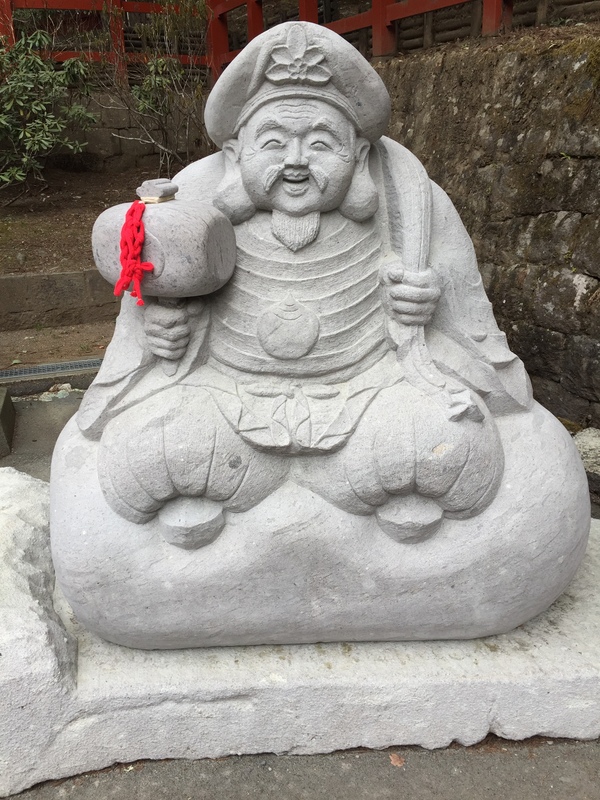 Statue outside of Futarasan Shrine in Nikko National Park. If I haven’t said it before, I will say again right now. I really enjoyed Nikko, Japan. 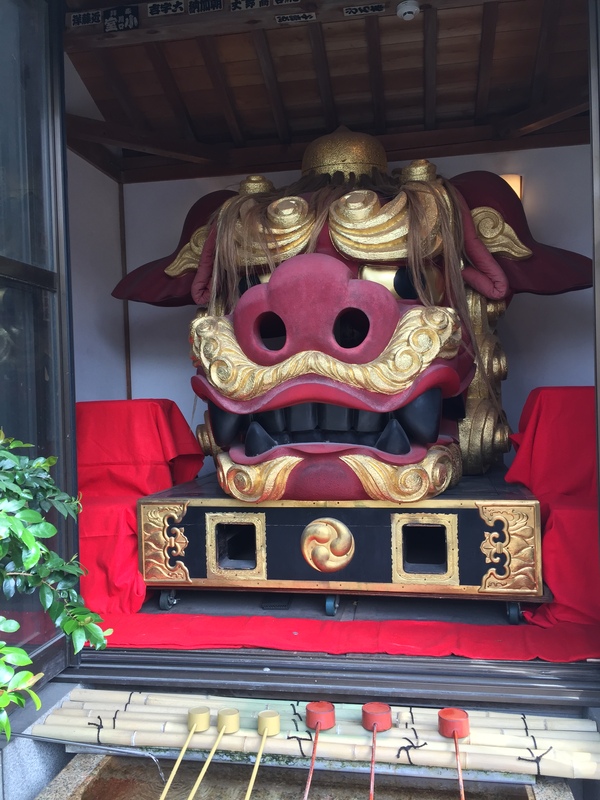 It is a beautiful town set in a beautiful part of Japan with friendly people and great food. There is enough culture here to make my time that I spent there not only rewarding but fun at the same time. There are many places that I would go back to if I ever find myself in Japan again, but Nikko would have to be the top of my list. I could have spent more time among the cedar trees and just soaking in the mountain air, but this is not the reason I came out to Japan in the first place. I was here to see the cherry blossoms, and I had yet to really experience this on this trip and I wasn’t going to find it in Nikko. 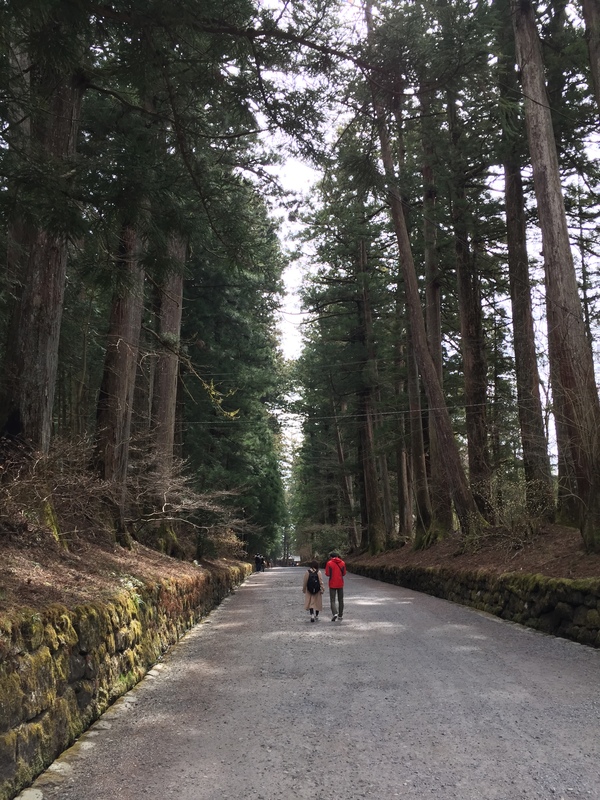 A path through the cedar trees in Nikko National Park. So I said goodbye to this wonderful small town, got on the train and headed off to Tokyo to where I knew the cherry blossoms would be. 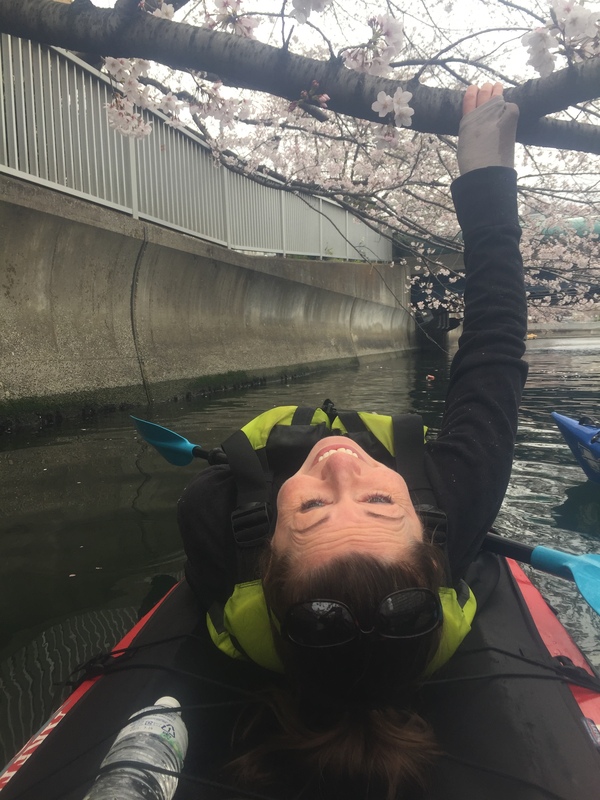 Now, I have been to Tokyo on a couple of other occasions, and it seems to get better every time I head back there, so even though I was leaving behind Nikko, I was excited to see what adventure awaited me this time. 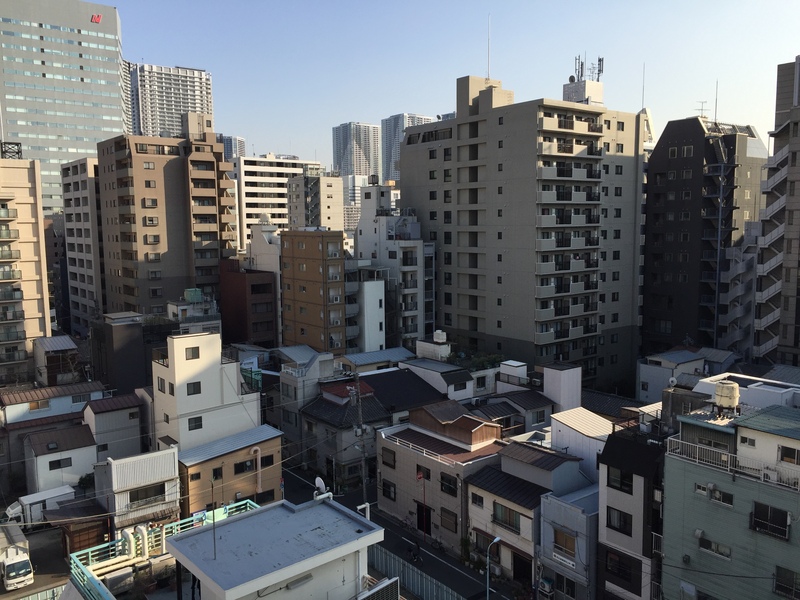 The view from my place in Tsukiji. First off, getting to Tokyo is a big change from the quiet atmosphere of the mountain town I was just in. Depending on what source you look at, Tokyo is one of the biggest cities in the world, if not the biggest. So the tall cedars and wide open spaces were replaced by tall buildings, and big crowds. I have found that the best way to explore this city is to find one little neighborhood to go to and see what it has to offer. This time I am going to stay in Tsukiji next to the old fish market, and close to Ginza, one of the bigger shopping centers in town. I am close to the subways, but I know that I will not be able to see all of this town, so I will just have to pick and choose what to do while I am here. Stairs outside of a shop in the neighborhood of Harajuku. But I do not think that it really matters where I stay because the one thing I know about this town is that the people are individuals and like to think of new and exciting ways to express themselves. Every corner I turn I know I will see something that will make me smile and make me laugh. There are surprises that I will find here. I have been here for only a couple of hours, and I have already had some great food, seen some strange sights, and have even run into one of my students. It is a great way to start this part of my adventure.